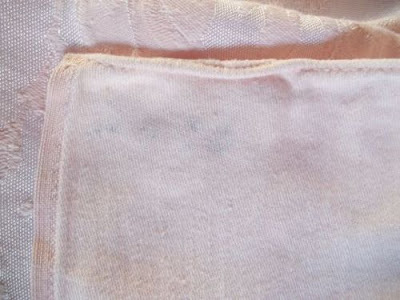 Dragonfly Treasure: How Do You Get Permanent Marker Out Of Linen? 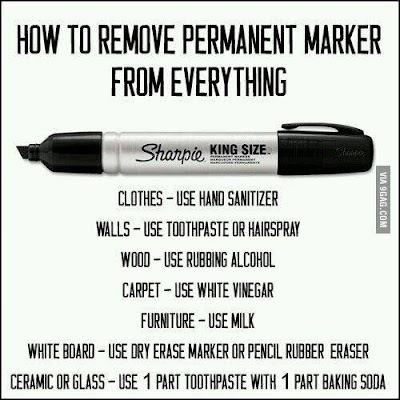 How Do You Get Permanent Marker Out Of Linen? 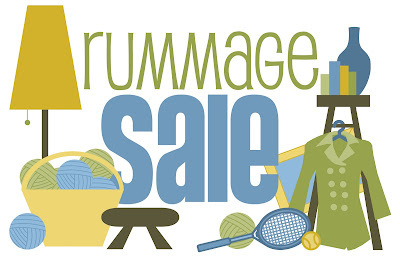 bestest rummage sale every year. They have such a variety of items that people donate and at such reasonable prices. I was going to say I love to go through the linens, but I really like going through the dishes too. Oh and the household things, some you can't even figure out what they are (half the fun). They have plants too that the parishioners start from plants in their gardens. I love that, some of the old time plants aren't in nurseries and this is a fantastic way to get them. Oy, I could go on and on.... this year I happened to find a pale pink Damask Tablecloth. The ladies who work the sale always look for spot/stains put masking tape around the folded item and write any imperfections and the size of the item. Well, someone, probably the donor, wrote the size in marker on the corner of the tablecloth. The price was most reasonable and I figured there must be some way to remove it. I searched an searched the web, and of course, Pinterest. Got lots of ideas. Wrote them all down, starting with the most delicate working to the strongest. if I should have just left it at the sale! Then after all that this pops up, where I can't remember. Not crazy, but delightfully creative, an adventuring spirit! I love it!! Thanks for taking the time to share the process and progress. You have a lot of patience! LOL that or just stubborn! Good for you! Do you know how to get ink off of leather without taking the color off the leather? Funny you should ask. I just noticed one blue and one black pen line on my purse! Will be researching that soon, hopefully and write a post on my findings. Hope I don't end up with light spots on my green purse! The Great Backyard Bird Count is Coming!